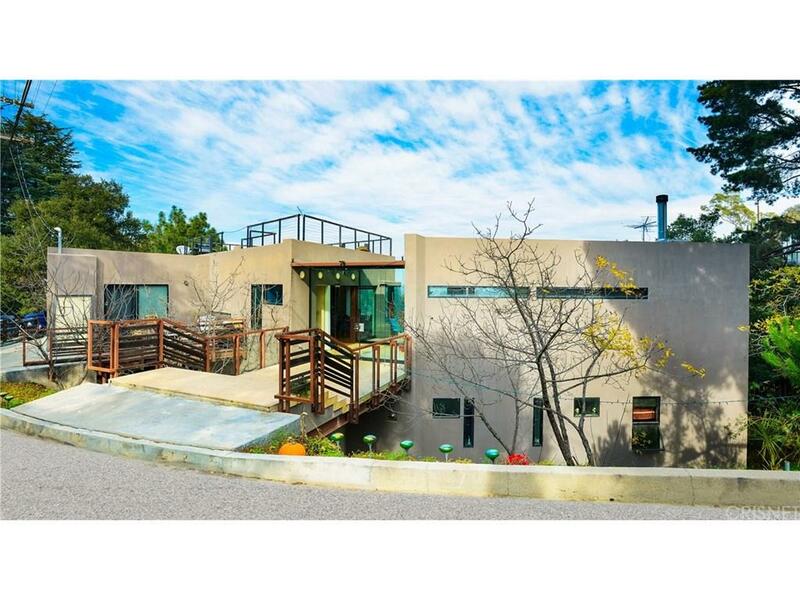 Located near the top of Lookout Mountain, Archietectural Design by Dean Lakrin, located in Hollywood Hills in the highly desirable Wonderland Elementary school district. Dramatic entrance through large glass doors to a beautiful foyer and panoramic views. This is an extraordinary home with an open floor plan and steel beams that are integrated into the interior. This home features Brazilian Cherry Hardwood floors, Master Ensuite with seperate tub and shower. There are observation decks to enjoy the outside.